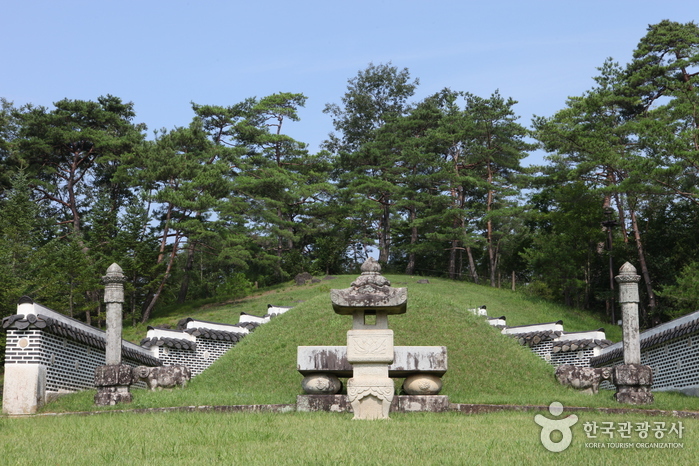 Jangneung is the tomb of Danjong, the 6th king of the Joseon Dynasty (r. 1441-1457). After having the throne taken away by Suyang Daegun, his uncle, Danjong was condemned to exile in Yeongwol County, where he was later murdered and his remains were abandoned in the Dongang River. 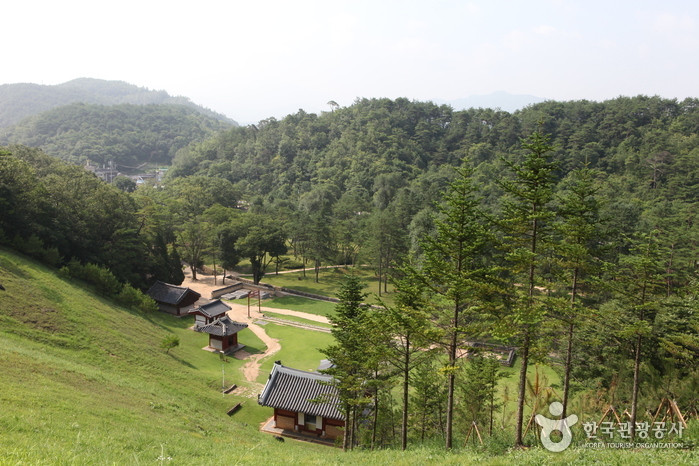 When no one else was brave enough to find his body, Eom Heung-do, the governor of Yeongwol Lake, found his body and buried him in the tomb that later became Jangneung, one of the royal tombs of the Joseon Dynasty. Danjong had been stripped of his title at the time he was exiled. His title was later restored in the year 1698, during the reign of King Sukjong, receiving the posthumous name of Danjong, and thereafter was referred to as King Danjong. Jangneung houses such buildings as Jeongjagak, Baesikdansa, Jaesil, Yeongcheon, and Hongsammun, and a history hall with relics of Danjong. The area is surrounded by magnificent pine trees. Since 1967, a religious service called Danjongje is held every year on April 5th, according to the lunar calendar, in commemoration of Danjong. 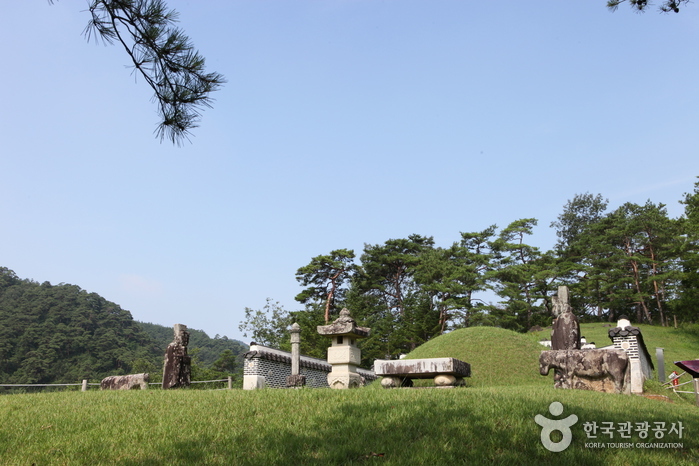 * Jeongjagak Stone – This is where a special offering is presented during the Danjongje service. * Baesikdansa Temple – Built in 1791, the building enshrines the tablets of the subjects and eunuchs of Danjong who dedicated their lives to the king. Every year, a religious service is held on their behalf following the service for Danjong. * Yeongcheon Stream – Water was pumped from this well on Danjongje day. Normally, the well only produces a small amount of water, but it is said that water pours out in large amounts during the time of Danjongje. 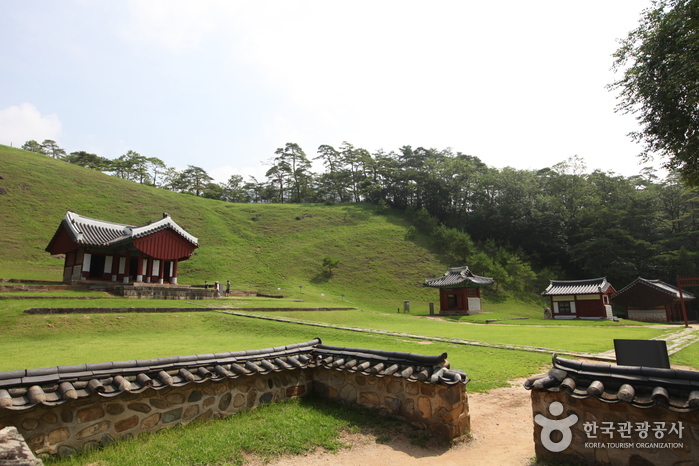 * Danjong History Hall – Miniature models depict the life of Danjong, from the time he became a king to the time of his death.